A total nail avulsion (TNA) procedure involves the safe removal of the entire toenail. 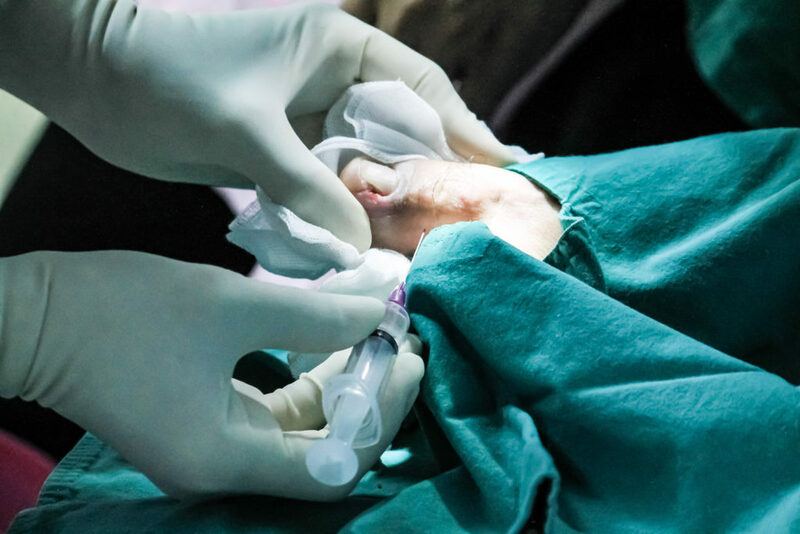 This procedure is indicated in a variety of circumstances, such as cases of ingrown toenails where both sides recurrently ingrow and there is a large curvature at the sides of the nail. Here, instead of removing two larger sides of the painful nail, a patient will opt to simply have the entire nail removed so it can grow back as a normal, straight nail – or not grow back at all depending on the method they choose. Aside from ingrowing or involuting (high degree of curvature) nails, this procedure is also used as a solution for disfigured, thickened, infected and damaged toenails where the nail itself is causing ongoing pain or great discomfort, especially when wearing shoes and performing daily activities. Again, this procedure may be performed with or without a chemical matrixectomy. When performed with a chemical matrixectomy, the nail will not regrow and you will no longer suffer from the problems your toenail was causing. When performed without, the nail will regrow from scratch, a process that takes approximately 12 months. This may produce a new, healthy nail that does not cause the previous problems you were experiencing. For example, where nail thickness was causing ongoing pain and discomfort and was very difficult to reduce, the new nail may grow to a normal thickness and no longer cause the original problems. Because the growth of your new nail is determined by your body’s nail growing cells and not anything we can control, the nail may also grow back to continue to cause the same original problems. For example, where both sides of the nail were previously ingrowing, the nail may grow back in the same shape and the nail edges will continue to re-grow. This may be the case if the base of your nail has been exposed to injury or trauma, as it may have damaged the nail growing cells and resulted in the abnormal production of nail, resulting in a disfigured nail shape. Don’t worry, we’ll assess your feet, nails and history of trauma to give the best advice on the best course of treatment for you and the results we’d expect to see. Once you have all of the information, you will be best informed on which procedure will be the best option for you. This procedure is very similar to the PNA, but instead removes the entire nail. Recovery time is anywhere from two weeks to two months barring any complications such as infection. We provide you with all the dressings, topical antibacterial solutions and ointments, the post-op shoe and aftercare instructions, all tailored individually to your needs. Unsure which procedure is best for you? Don’t worry – that’s exactly why we’re here. Because ingrown toenails can start from something as simple as your footwear choice for one day, they are unfortunately very common. This is our area of expertise and we see a variety of ingrown toenails every day, from full-blown infected swollen toes to small ingrown nails that don’t appear “bad” but are still quite painful and will only worsen as the nail continues to grow. We start each appointment by assessing the toenail and discussing the likely cause of the problem. We’ll then be able to go through each procedure and their outcomes, and give you all the information you need to help you make the best choice and get the best results for your feet. After you leave your appointment, if you have any questions, our team is available to speak to during business hours and can also reply by email. We always put your health and well-being first and are here to help you in any way we can!